As part of a continuing campaign to grow bus use, Reading Buses has launched its first third party smartcard top-up facility. It has been placed at the Reading University Student Union (RUSU) shop, ‘Campus Central’. 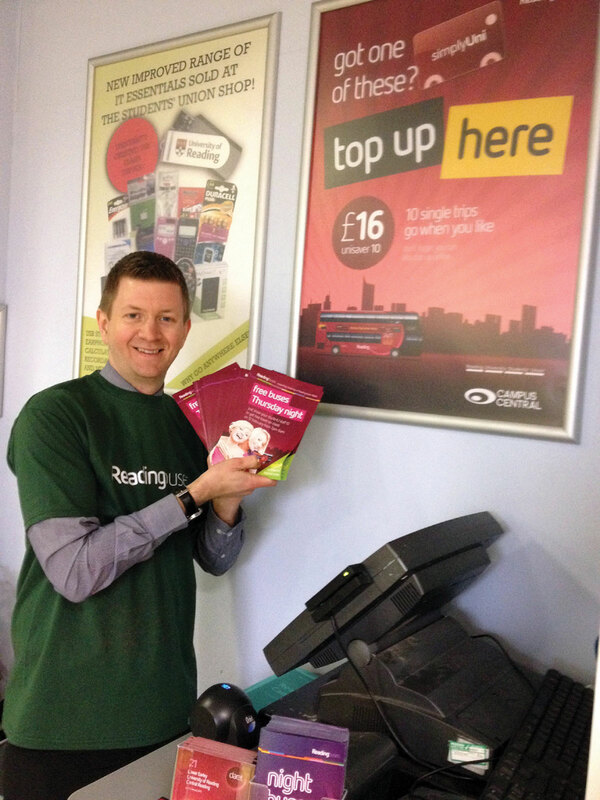 After many months of discussion and development with both RUSU and Reading University, the new facility now enables students and staff to top-up their simplyUni cards on campus using equipment supplied by Reading Buses.